On the eve of the US release of their critically acclaimed opus ‘Going, Going…’, David Gedge kindly spares sometime to talk to Ioan Humphreys about making the LP, the reception it’s had in the UK so far and the up and coming release and tour of North America. LTW: Hi David. Where are you? What are you doing right now? David Gedge: Hi Ioan… it’s a day off on our current concert tour of the United Kingdom so I’m in a hotel on Scapegoat Hill, near Huddersfield. It should be overlooking some beautiful Yorkshire scenery but today it’s foggy! LTW: I have to congratulate you on the success of ‘Going, Going…’ I’ve personally added it to two ‘Albums of the Year’ run downs on the sites I write for. You must be pleased with the reaction it’s had? DG: Thanks! Well, yes, it’s always heartening when you receive praise, of course… but with this one it’s especially nice because this album was a lot of work! That’s why it’s taken so long to complete! LTW: The album is 20 tracks long. It feels almost like a concept album. Is it a concept album? DG: I was initially avoiding using that description because it tends to conjure up images of progressive rock albums about medieval knights… but I’ve come to terms with it now. In fact, since every album I’ve made contains a group of songs written around the same time I think they could probably all be described as concept albums! Something like Seamonsters, for instance, definitely has a theme or mood to it. But, yes, Going, Going… is loosely based around a road trip across the U.S.A. and all the songs are connected. LTW: The album sees you experimenting with spoken word (guest vocal from Brix Start on ‘Greenland’), gorgeous instrumental (cello) orchestration (‘Sprague’) and a different language! (‘Wales’) Is this something you have been thinking about for a while? Or is it a natural progression from your last release? DG: I do think it’s a natural progression but not strictly from the previous release, Valentina. Going, Going… purposely references Wedding Present and Cinerama music and lyrics from throughout the last thirty years, really. LTW: Each of the tracks had an individual film made for them for your accompanying tour. I was unfortunate to miss this early this year. How was the reception to both the music and visual aspects of the ‘Going, Going…’ tour? DG: I was actually extremely happy with it, actually. It felt like a risky endeavour but we chose the venues carefully to enhance what we were trying to do and, in a couple of places especially… the Lowry Theatre in Salford and The Sage in Gateshead… it looked spectacular. 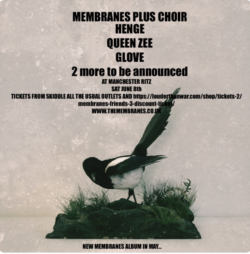 A couple of people complained about sitting down in a theatre to watch The Wedding Present but since 99% of our shows are in rock venues I don’t think they had too much of a case… and, anyway, I wanted to do something different. The idea was that a seated audience would focus more on the music and the films. LTW: And this ‘visual’ accompaniment? Is this going to continue? Or is it just a ‘one off’ and part of the innovative way that The Wedding Present sometimes releases music? LTW: The ‘All the songs sound the same’ jokey criticism that spawned the t-shirts, plastic bags (I still have one) and the brilliant 10” EP you released. I think this is what the fans love about you. We know where we are with you. Immaculate songs about love, unrequited love, hometowns, etc. Are you aware of a ‘formula’? Do you think the statement still stands? And has it helped you at all? DG: Our use of that ‘all the songs sound the same’ line was ironic, actually… I think we saw it on a review or something and thought it was hilarious. We couldn’t think of a band that it applied less to. Every album The Wedding Present has made has its own style and sound and takes the listener to a different place and I genuinely feel like I’ve been in about four or five different groups! When you see so many bands whose songs do literally all the sound the same I feel proud of our back catalogue. LTW: Through the ‘Brassneck’ CD single that you re-recorded with Steve Albini, there was a certain generation suddenly introduced to Albini’s oeuvre. All out noise, melodic noise, a certain production sound, drum sound and the brilliant band Pavement. I personally think that your influence on this was a great musical turning point/awakening for many a music fan. What are you musical/cultural influences at the moment? Is there anything really getting your juices flowing? DG: I really think that we’ve pretty much gone as far as we can go in pop music using guitars, bass, drums, keyboards… everything has been done already. I know rock ‘n’ roll has always been cyclical to a certain extent but every ‘new’ band I hear these days just sounds like a 60s beat band or 70s disco or an 80s new wave band or something. The only innovation I see in music these days is in the technology… the way music is made and distributed and marketed… and I think that’s more exciting than hearing another band who sound like Joy Division or something. LTW: Do you think that this rather tumultuous political and socio-economic situation spreading across Europe and America will spawn a creative and fertile time for bands and yourself? Or is it just completely too depressing to think about? DG: Not really because I think much of the reaction to these kinds of events comes from the youth and young people can’t afford to be in bands anymore! The only people who can take the leap into being full time musicians… since there are no record labels left to support them… are those with rich parents or private means… and those people aren’t really suffering from these upheavals in the social structure that we’re witnessing. LTW: So ‘Going, Going…’ is currently on release in the US. I am assuming you will be touring there soon (or may be already there!) What is your relationship with the US market and do you think they may be a bit taken aback by ‘Going, Going…’? Or embrace it like your other releases? LTW: And live for the UK? Have you any touring plans or festival slots booked for 2017? DG: 2017 sees the thirtieth anniversary of the release of George Best and so we’ve arranged a few concerts where we’ll be playing that album live for the last time ever. We’re also recording some new stuff for a label being set up by the Primavera Sound festival in Barcelona and they’ve asked us to play at the launch of that, too. The Wedding Present also announce a 13-date tour of North America, where they will be supported by indie pop star Colleen Green. 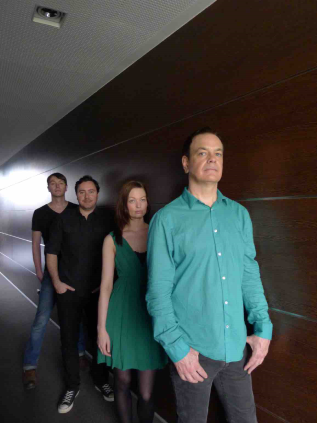 The Wedding Present can be found on their website, Facebook and they also tweet as @weddingpresent.